There is no better way to connect as a family than to be out in nature and doing projects together. Jaclyn Kellner will have engaging activities that ignite creativity and nurture relationships with each other and nature. Ages kindergarten and up, but best for k-5th. Bring a picnic to enjoy on the farm afterward! 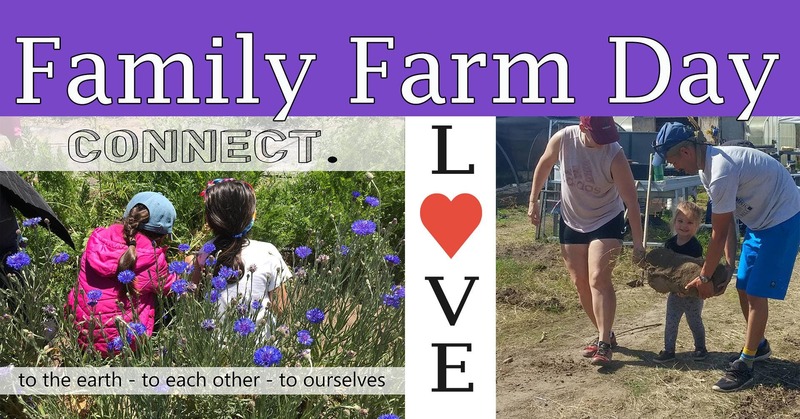 Dress for a farm, which includes: sun hat, closed toe shoes, bring a refillable water bottle (can refill at the farm), sunscreen, and protective comfortable clothes that can get dirty. Early morning and late afternoons/evenings can get cold. Bring any medication needed for allergies. We will be around plants, bees, animals and more!